What is Cupping? What is Acupuncture Cupping? Does Cupping Work? Before we attempt to answer the question, let's take a look at what cupping is all about. 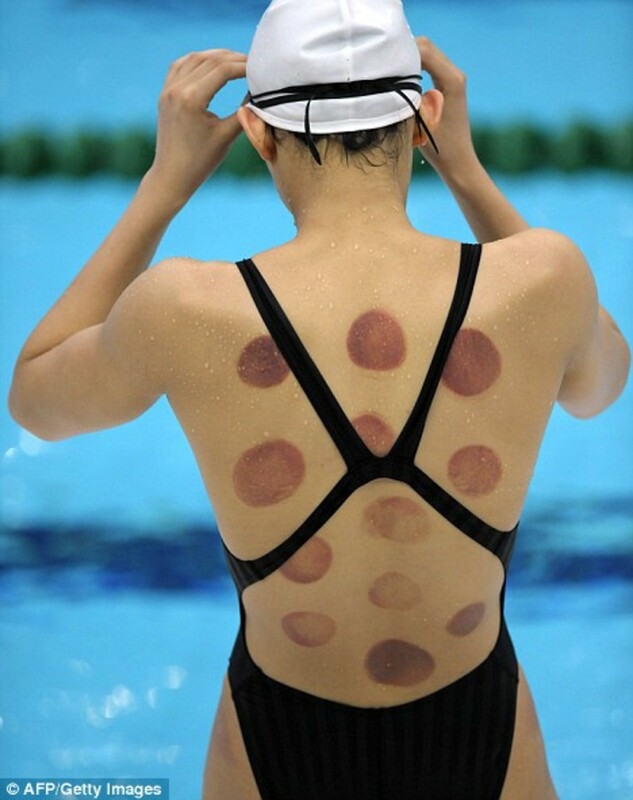 There's at least a small chance that you are reading this article now in the summer of 2008 because you saw a picture in the newspapers or on television of a Chinese swimmer preparing for the Olympic Games that showed huge, circular blotches all over her back. 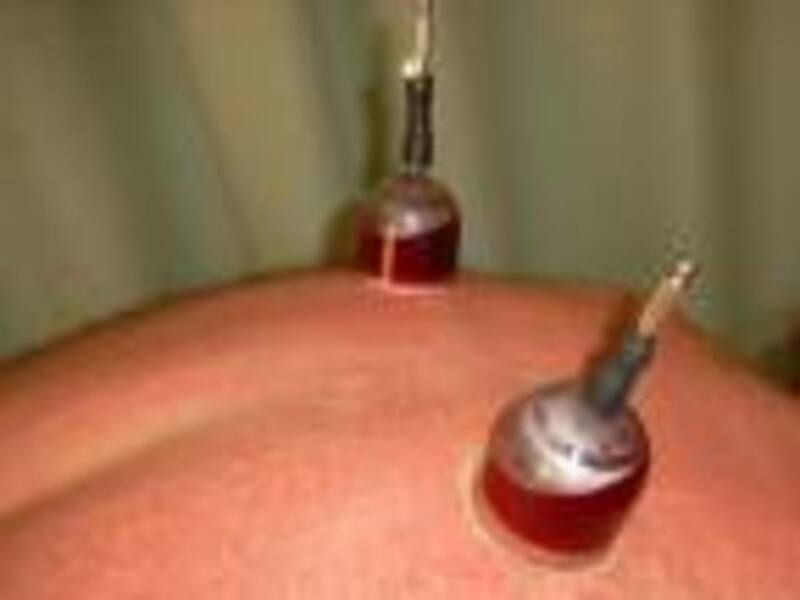 Cupping is considered to be a form of acupuncture. Acupuncture itself has been practiced as a form of medicine in China for 2500 years. Cupping is an alternative to the more traditional needles. Acupuncture with needles works under the principle that by insertion into the skin of many tiny needles, some or all will make contact with tension points and ease pain. It is believed that acupuncture will help alleviate back pain, neck pain, cramps, nausea, and even help with critical conditions like infertility and cancer. 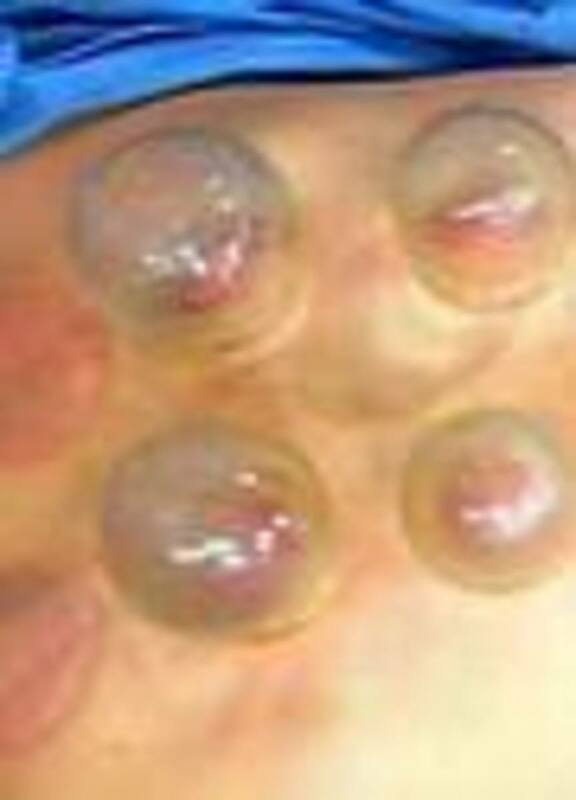 The basic concept behind cupping is suction. There are two methods by which cupping is performed. The traditional method is administered by taking a glass cup or jar containing a cotton ball swabbed with alcohol. The cotton ball is then ignited. After the cotton ball has been removed, the cup is then placed at a specific location on the patient's skin. Because of the vacuum created inside the cup, the patient's skin then rises up inside the cup and blood flow rushes to the area. This method is known as "Fire Cupping". 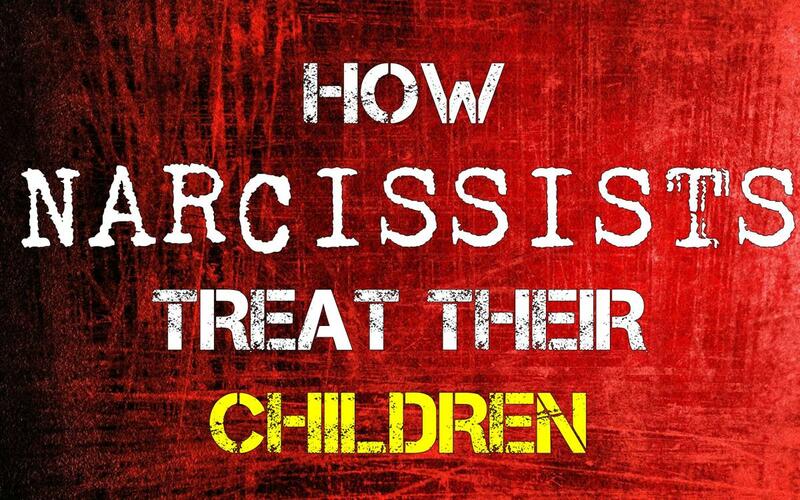 Practitioners believe it to be the more effective method. Other practitioners prefer to use the suction cup method. In place of the flame, air is suctioned from the cup manually after the cup is placed on the skin of the patient. Cupping proponents believe it improves circulation, opens the chest and lungs, and can even benefit menstrual and digestive problems. A typical therapy session lasts about 15-20 minutes and can be repeated, if necessary, after the skin marks disappear. People who have never had it done, say that it appears to be torture. However, experienced patients normally report that the sensation during treatment simply feels as if something or someone is tugging at their skin. There are apparently no reports of pain. Proponents swear by it, even celebrities such as Paris Hilton and Gwyneth Paltrow. But Does Cupping Actually Work? Opponents compare it to medieval alchemy and bloodletting. Controversy about acupuncture in general and its usefulness as a painkiller has raged for many years. Western Medicine tends to downplay its effectiveness, yet the seemingly brightest minds of Western Medicine once believed (not so long ago in comparison to the length of Chinese history) anesthesia to be pure quackery. Also the use of leeches to remove excess blood, once considered taboo, is now routinely practiced in the West. Studies continue to trickle in, but so far the results lack a consensus. One thing appears to be fairly certain. It doesn't appear, at least, to cause harm. Some people I'm sure would argue. So if you're thinking about it, it's your call. Proceed only with competent advice. Now at least, you have a basic understanding. Ultimately the generator you choose will be based almost entirely on the ways in which you intend to use it. Here are some ideas to keep in mind as you make your decision. Most people concentrate their projects around kitchens, bathrooms, windows and family room additions while overlooking the planting of trees as a great idea that works. Kneading bread dough can be fun. But most of the time, you just want great bread without the work and without the wait. This method is your answer. What is a sinkhole? Can I get Sinkhole Insurance? Florida Sinkholes! Sinkhole pictures! Guatemala Sinkholes! What exactly is a sinkhole? Can I get Sinkhole Insurance? How are they formed. Where are most likely to occur? Should I worry? Hickeys are back in a BIG way! While working in Seoul, a friend did this and she swears it was the best thing for her back. Once I saw her back I admit I wasn't brave enough - but after much research and having the utmost respect for the Korean culture I would try it now. I have been suffering with back pain for 13years but this past Sept it had gotten so bad I couldn't sleep the night through. I had xrays and a mri. Both showed arthritis. I have be young to the chirp and receiving massage weekly but was still extremely uncomfortable. I ran across cupping and bought a set and in a week my pain went from an 8 to 2. Even the chirp noticed a difference. I find it amazing! I was in a car accident two weeks ago and I was suffering from whiplash and horrible back pain. I received the cupping treatment today and I feel so great my back pain is gone. This treatment was awesome and I am going to go back in a couple of weeks. Any skeletal muscle pain can be easily cured by Tradition Chinese Medicine (TCM) Acupuncture. For 4,610 years (2600BC), Yellow Explorer's time. Until now acupuncturist continues this ancient TCM practice to eliminating all diseases (trying). All the main hospitals of China use this to treat most patients as busy as KFC fast food. Acupuncture treatment will has needling sensation effect for first few days. This called “DE Qi/Chi” (Arrival of Oxy’Blood---needling sensation). it must be achieved so that Yin & Yang(Negative and Positive energy) can be balanced and body’s immune system has strengthens, else diseases can’t be eliminated. The fundamental manipulating techniques are Lifting and thrusting & Twirling or rotating. TCM Acupuncture therapeutic works and easily cures muscular pain if apply correctly. Beside sciatica(more trials needed), all others skeletal muscle pains are not recorded in TCM text therefore no “Acupoints(??? )” can be provided to any acupuncturist as that they need to advancing the practice and pick the right AcuPoints. Be respectful, Acupuncture is not a device or voodoo magic, it does not release any things (certainly not endorphins, inflammation, etc, ..) or anti-inflammatory agents. Please do not mislead. It is a marvelous 4,610+ years old, micro surgical tool, etc, . “An acupuncture is bad science”. not much can be expected in 4,610 years ago, good science & resources only available from 1850AD such great scientists: Heinrich Hertz (1887) & Albert Einstein (1905). Since 2005 E² Acupuncture has added a new chapter of modem acupuncture science. which has scientific proven, formulated, verified and even dispelling the amount of excessive Yins/-Toxin can be calculated. Treatment uses single new save disposal and painless micro-needle insertion to proper “Acupoints(?? )” and has no side effects, least risk mainly due to accident same as any treatments. No Lifting and thrusting & Twirling or rotating manipulating needed so that patient cans comfortably having a cup of tea/coffee. Acupuncturist must fully understood the Five Elements(?? ), Five Changes(??) and Five Shu/Transports(??/?) Yin & Yang balance principles. if any one treated by 5 X 30 minutes in 2 weeks and has no relief by 4 weeks, please discontinues and shop around. Sciatica update (loc: buttock & 5 inches down, 2 spots). 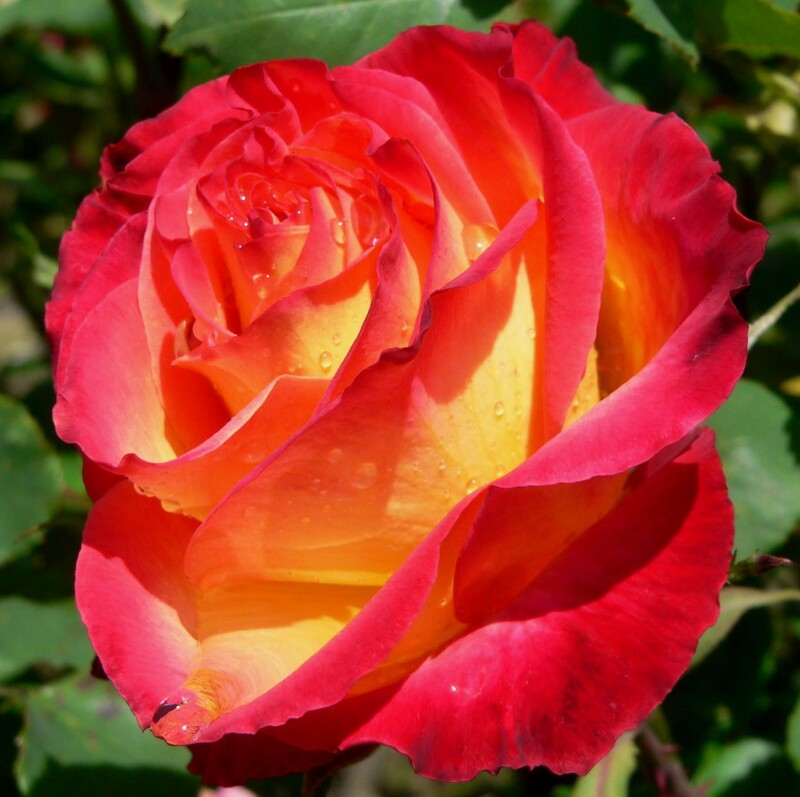 why pain relief if it can be so easily cured. and the cost of curing it is so much less then a pair of PF shoes and not to mention others, . My dad also suffers from arthritus and I am interested in knowing more about using cupping to help with his problem. I am glad to hear that it helps gilly. I would love to know if anyone else try cuppingn for arthritus, I would greatly appreciate it if you can share your experience. Some say acupuncture cupping works and some say it does not. I can say it depends on the patient for some people I know, they love having acupuncture cupping that it releases the pain in their back which is definitely good. Had it done today...I'm very fair skinned so it doesn't look very nice but I must say I do believe it helps!!! Interesting. I had not heard of cupping before, though I have and will continue to practice acupuncture and acupressure for spinal pain. I just got back from acupunture and cupping session to treat my sciatic pains and tingling and numbness due to a herniated disc....I feel significantly better (ofcourse I have also been doing excercises that was prescribed to me by my physical therapist)...but honestly, the pains I had been feeling for months have decreased at least 75%...I think a few more sessions will really help a lot and allow me to exercise more effectively. I guess what Im saying is there's no harm in trying. I have a bronchitis and was introduced to cupping by the acupunctureist I go to. For the last three days I have been cupped and each day I feel better. From the the end of the first session, my breathing has improved, my coughing has deceased and overall I am doing better. If you ever have the misfortune of getting bronchitis, in addition to western medicine, z pack cough medicine with Codine etc,,,thy cupping. It will help a lot. Adam, Thanks for reading my post. I have had cupping and acupuncture done and cannot agree or disagree if it works or not. I went to cope with my RLS (Restless Leg Syndrome) and it was a failure. Could work for some people though. It's a toss up!